In international humanitarian law the concept of “direct participation in hostilities” refers to conduct which, if carried out by a civilian, suspends his protection against the dangers arising from military operations. Most notably, for the duration of his direct participation in hostilities, a civilian may be directly attacked as if he were a combatant. International humanitarian law does not define direct participation. The ICRC issued Interpretive Guidance which provides recommendations concerning the interpretation of international humanitarian law as it relates to the concept of direct participation. 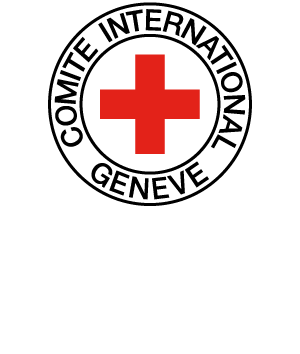 The recommendations in the Interpretive Guidance, as well as the accompanying commentary, do not change binding rules of treaty law or customary law of armed conflict but reflect the ICRC's institutional position as to how existing international humanitarian law should be interpreted in light of the circumstances prevailing in contemporary armed conflicts. The following definition of the concept of direct participation in hostilities is taken from the Interpretive Guidance. Definition: Direct participation in hostilities consists of specific acts carried out by individuals as part of the conduct of hostilities between parties to an armed conflict. Measures preparatory to the execution of a specific act of direct participation in hostilities, as well as the deployment to and the return from the location of its execution, constitute an integral part of that act. In a non-international armed conflict, an individual whose continuous function involves the preparation, execution or command of operations amounting to direct participation in hostilities on behalf of an organized armed group is considered a member of that group ("continuous combat function") and loses his protection against the dangers arising from military operations for the duration of that membership. BOOTHBY Bill, ““And for Such Time as”: The Time Dimension to Direct Participation in Hostilities”, in Journal of International Law and Politics, Vol. 42, No. 3, 2010, pp. 741-768.